The hottest color for spring right now is Mint or Tiffany blue. I’m seeing it everywhere in fashion and also nail polish brands are coming out with their colors for spring. 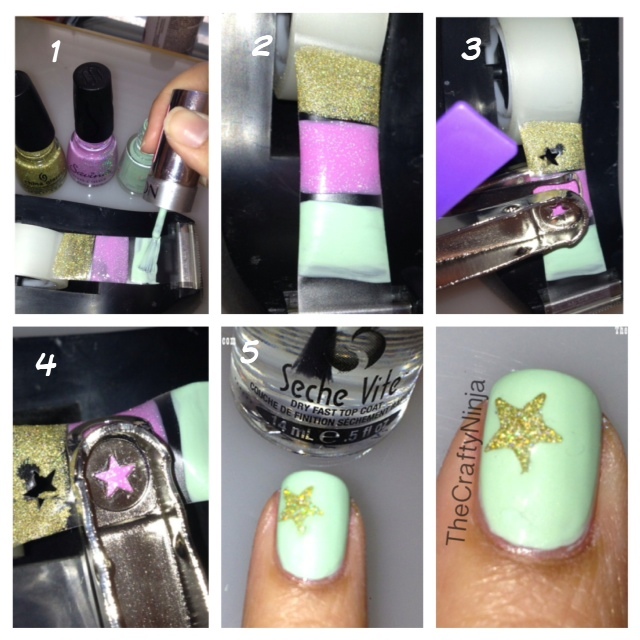 Here is a perfect spring look for your nails using D.I.Y. 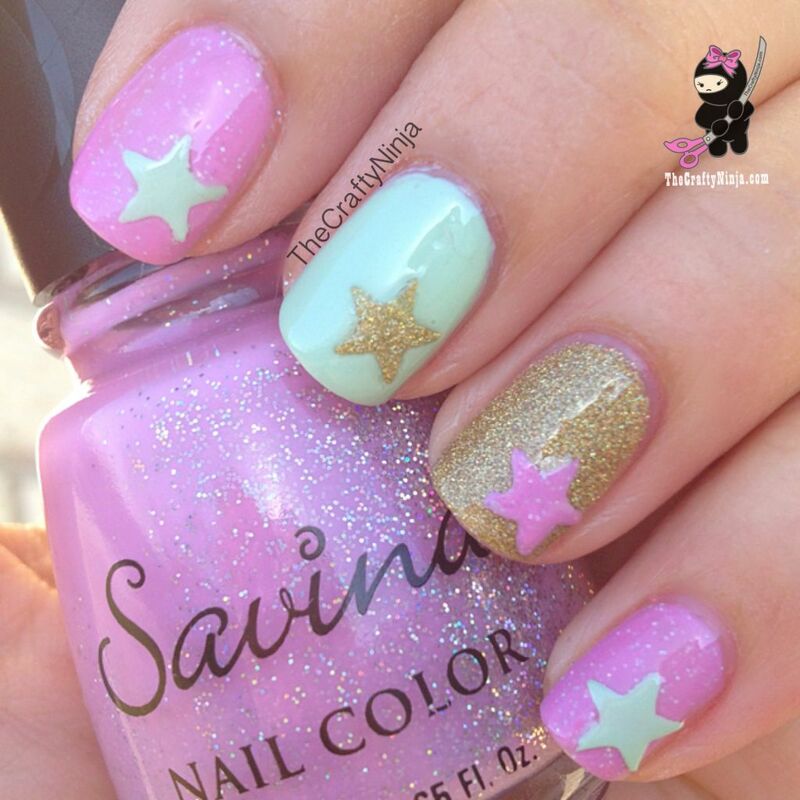 star nail stickers. Supplies needed: Nail Polishes: China Glaze Angel Wings, Savina Purple Hologram, Revlon Jaded; Scotch tape; Craft Punch; and Top Coat.